What Does Code P1298 Mean? 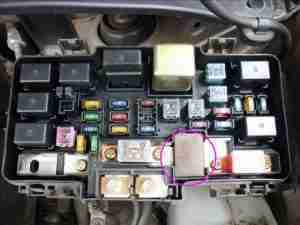 If your Honda vehicle has stored a code P1298, it means that the powertrain control module (PCM) has detected a problem with part of the charging system known as the electronic load detector (ELD) or ELD circuit. This code specifically pertains to a condition in which a voltage signal that is higher than anticipated has been perceived. 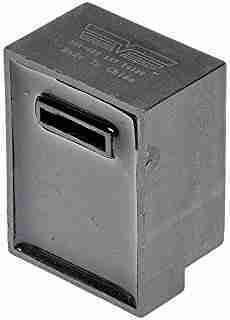 In my experience, only Honda vehicles utilize this type of ELD device or code P1298. The ELD is a small current transformer that is located in the underhood fuse and relay box. It could be easily confused with some type of fuse but it actually detects the degree of voltage (current) which is being pulled from the battery and charging system. The PCM regulates the amount of voltage applied to the alternator field coil in accordance with the signal received from the ELD. This allows the voltage output of the alternator to fluctuate in order to meet varying load requirements. When factory accessories are in use (especially lighting and air conditioning), alternator output must be near the maximum level of 14.4-volts. When these accessories are not in use, alternator output needs to drop to near minimum (usually 12.1-volts) in order to conserve fuel and maximize alternator longevity. After all, if the alternator is producing maximum output constantly, it is not going to last for very long and it will place an increased load on the engine. If the PCM detects a voltage signal from the ELD circuit that is greater than the degree of voltage it expected the alternator to produce at a given time and under a specific set of circumstances, a code P1298 will be stored and a malfunction indicator lamp (MIL) may be illuminated. What are the common causes of code P1298? What are the symptoms of code P1298? How do you troubleshoot code P1298? I try to have a diagnostic scanner, a digital volt/ohmmeter, and a reliable vehicle information source like All Data (DIY) on hand when diagnosing a code P1298. It is very likely that the symptoms which the vehicle in question is exhibiting, as well as the stored code P1298, are the subject of a factory technical service bulletin (TSB). The ELD used in Honda vehicles has demonstrated a proclivity for failure. Use your vehicle information source to search the TSB index for one that matches the vehicle in question, as well as the symptoms and code presented. The information contained therein may prove helpful in your diagnosis. Carefully inspect the alternator and battery as well as all wiring and connectors associated with the starting/charging system. Repair or replace any corroded or damaged components before proceeding with your diagnosis. Connect the scanner to the vehicle diagnostic connector and retrieve stored codes and freeze frame data. Write it down as it will almost always come in handy if the diagnosis drags on due to an intermittent condition. Clear the codes and operate the vehicle under various electrical load conditions to see if the code P1298 is reset. Observe the data display on the scanner while using the DVOM to test live voltage data at the alternator. If the voltage output signal displayed on the scanner is higher than what is reflected by the voltage display on the DVOM, suspect a defective ELD. 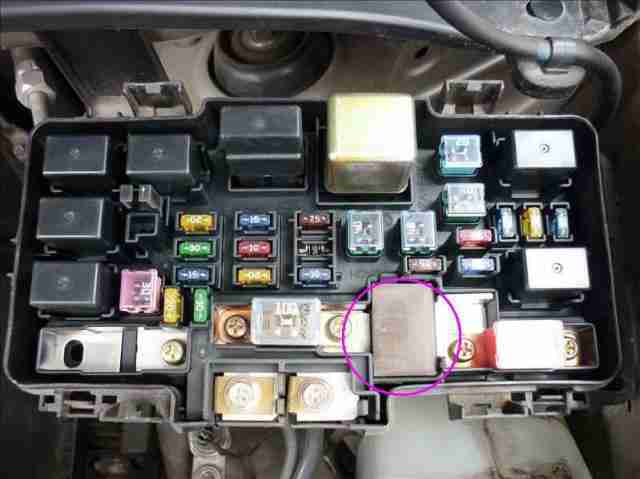 In some cases, replacement of the ELD will require removal of the entire fuse box. Consult your vehicle information source to obtain the correct ELD replacement procedure for the vehicle in question. If ELD voltage displayed on the scanner matches what is displayed on the DVOM, suspect a defective PCM or a PCM programming error. Alternator failure will rarely result in a high voltage condition at the ELD but follow the guidelines set forth in the vehicle information source and corresponding TSB/s for diagnosing and repairing charging system malfunctions for the specific vehicle in question.